Two services from QVC have gone HD on Freeview in certain parts of the UK, with QVC+1 and QVC Beauty in a new timeshare service. 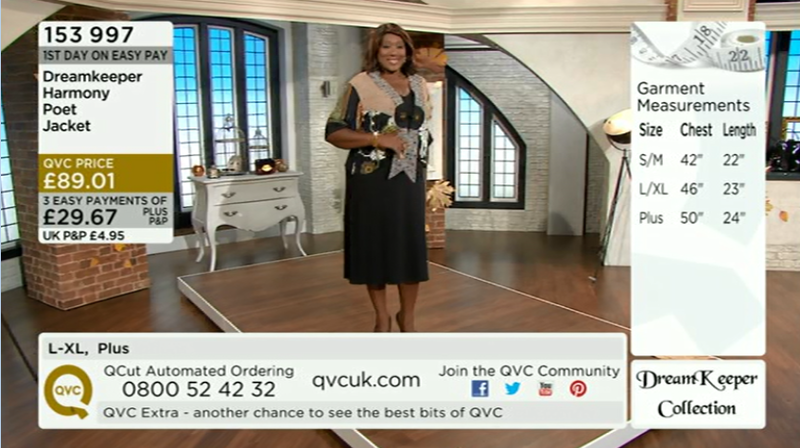 QVC+1 HD has launched on Freeview channel 111 and QVC Beauty HD on channel 112. According to programme listings for the channels, QVC+1 HD is due on air in the mornings through to 1pm, with QVC Beauty taking over on channel 112 from 1pm. QVC Beauty HD's broadcast hours complement its existing standard definition broadcast hours on channel 35, where viewers can access the channel from 5am to 1pm. The shopping channels are the first new services to launch on the COM8 multiplex, a new group of channels that is being broadcast from selected main transmitter sites. Areas where the channels are currently available include London (Crystal Palace transmitter), the Midlands (Sutton Coldfield transmitter) and North West England (Winter Hill transmitter). Viewers who can receive BBC Four HD and Al Jazeera English HD in these areas can retune to gain the extra channels. The channels are also available on YouView in these coverage areas. Other QVC services can be found on Freeview channel 16 (main QVC channel), channel 35 (QVC Beauty, with red button service for connected Freeview HD devices), channel 57 (QVC Extra - local TV coverage areas only) as well as via the TVPlayer on channel 241 (compatible Freeview devices only). Just what all Freeview viewers really have not been waiting for. What a waste of frequency - just what everyone wants NOT!!! When will Channel 5 realise its them we want on Freeview? Probably not until C4 realise we want Film4 and E4 in HD, not 4Seven and C4+1. Of the Freeview channels from other broadcasters I think Dave would top my list - indeed think that's the only one in HD on Sky other than RT, which we'll probably get knowing our luck. What an utter waste of DVB-T2 bandwidth. If this is all we can find to fill COM8, then we should be reserving it for two or three 4K HEVC channels. Standards for 4k HEVC on DTT are still being developed; there are no devices certified to work with Freeview HEVC (although HEVC is in the spec for the next gen Freeview Play devices) and as costs will be based on bandwidth, it's prohibitively expensive at the moment given a virtually non-existant audience.